A Southland business had a queue of up to 70 hungry customers waiting in line to get their hands on this season’s Bluff oysters. With oyster sellers reporting universally strong demand across the country, prices have surged in some areas, with other venues treating their clientele to a range of special offers as competition hots up. Demand for the southern delicacy has been so keen since the season opened on March 1, that some fish restaurants had been unable to secure any supplies at all when Stuff spoke to them on Monday. Among those awaiting their first taste of the new season’s shellfish was Mt Eden Village Fish Shop owner Justin Pilkington. “We didn’t get any last week, but they often take a wee while to filter up this way. I’m talking to my supplier again today as we’re getting a lot of inquiries from customers who, as always, are looking forward to getting into them,” he said. Pilkington said he would price his oysters according to market levels at the time. 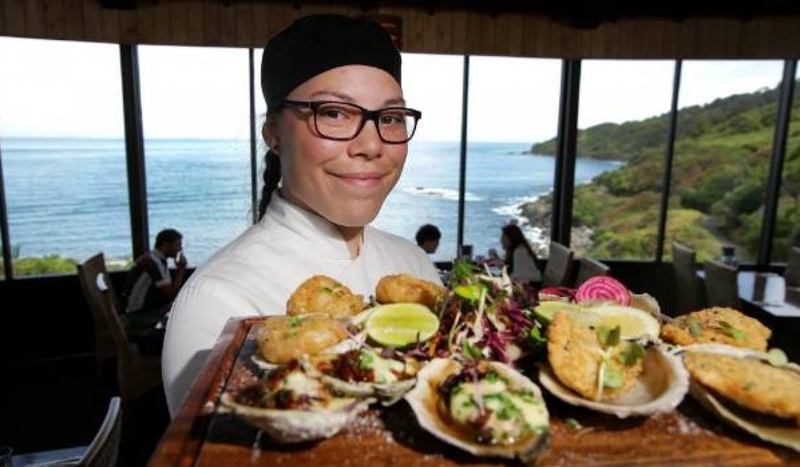 With demand outstripping supply in many areas, early prices across the country were wide-ranging, from $30 a dozen raw at Bluff’s Galley Takeaways, to $65 at Waiheke Island’s Oyster Inn. Suppliers of 65 per cent of the Bluff quota, Invercargill-based Barnes Wild Oysters was price-leader among those Stuff informally surveyed, at $25 a dozen raw premium-grade from their retail shop in Invercargill. Barnes manager Graeme Wright said a queue of about 70 people had formed outside the business during Thursday’s opening day of the season. Bluff’s Oyster Cove Restaurant and Bar owners Lynda and Ross Jackson said its oysters, priced at $34/$58 a half-dozen raw or cooked, had been selling “flat out”. “It’s always a huge highlight and drawcard for the restaurant,” Lynda said. Among many offering oyster “specials” across the country was Invercargill’s Paddington Arms Restaurant and Bar owner, Graham Hawkes. “We’ve had inquiries for oysters since February, so we’ve all been delighted to see how plump and gorgeous they are this season. They’re in excellent condition,” he said. At the more indulgent end of the spectrum was Auckland eatery The Culpeper’s Friday “All you can eat Bluff” offer, for $175. Forming part of the month-long Princess Wharf Oyster Festival, the oyster feast attracted a sell-out crowd who helped mow through the restaurant’s initial order of 500 dozen. Culpeper owner Richard Sigley said he hadn’t needed to apply a “Fair Use” clause, despite one customer consuming seven-dozen Bluff oysters on the night. “There might be a few Southern Men who could beat that, but we’re only Jafas, after all,” he joked.